What a beautiful Sunday morning!! Adorable mug for $5 at Lush Fashion Lounge - They always have great clearance items!! Swing dress, animal print wedges, Kendra Scott earrings, Kendra Scott necklace, James Avery ring, & watch. I love this comfy outfit from Old Navy and JCP. I don’t shop much at JCP but my better half loves to get some “working man” jeans there for pretty cheap, which is why I was there. 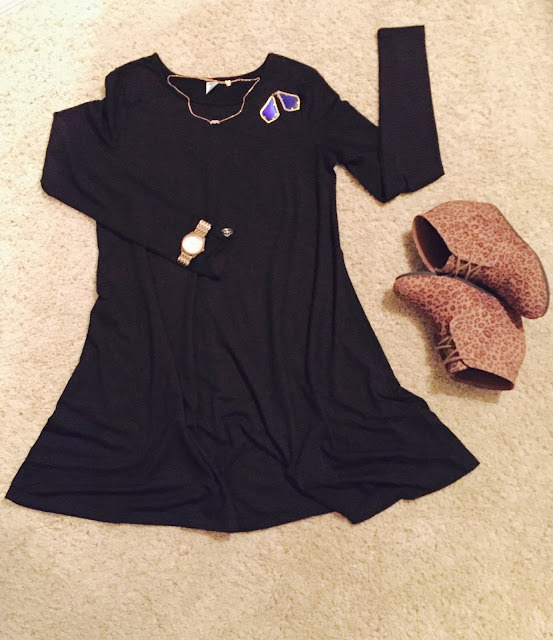 The JCP sweater is so soft and lightweight which is perfect for fall here in Texas! These Old Navy jeans are thinner and have some stretch (which makes them last a little longer for me losing weight). They also tend to fit slightly larger, so I would suggest ordering a size down from your normal! For $15, these jeans really can’t be beat! I just ordered these faux leather leggings from Nordstrom that I can’t wait to pair with that sweater!! Get them here for $29! These are definitely going to be a fall/winter staple for me! 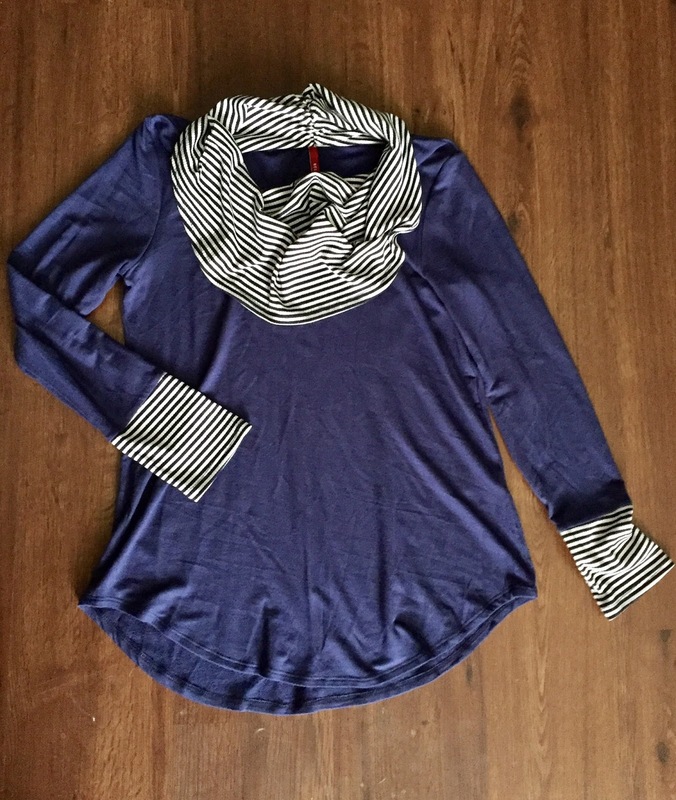 I love this cowl neck shirt and it is from Frenchrum Emporium - an adorable online boutique! This great piece is extremely soft and was only $28!! Once again, being in Texas, lighter long sleeve or sweaters are better because our winters just aren’t prominent for any lengthy amount of time compared to other places. I had to at least show off my handsome man and a couple of things we got him. His shirt is Old Navy for $18 but his jeans are definitely a splurge! They are Buffalo by David Bitton. The fit and the longevity of these jeans are so worth it!! They typically run around $100 but we found this magical unicorn pair on clearance with a coupon for $25. WINNING!! Well that is it from our shopping trip last weekend! Stop by the blog later this week and you will see the design will have a face lift!! I will also be posting several recipes this week in preparation for Thanksgiving. Thanks for stopping by the blog and hopefully I put you in the shopping spirit! Christmas is so close – don’t wait until the last moment!! Now go out and enjoy this amazing Sunday! I love that black Old Navy dress and Buffalo jeans are some of my boyfriend's favourites too!